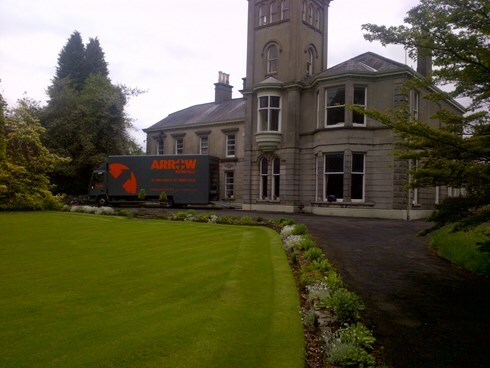 Arrow Removals can provide full storage solutions to help out with your moving process. For more details or to discuss your requirements, don't hesitate to contact our professional team. You will probably find that putting your furniture into storage is a simple, cost-effective solution that can minimise the risk of the moving chain breaking, lessening the chances of losing your new home. Arrow Removals can offer full storage and self-storage facilities which can not only solve any logistic problems but also offer you the opportunity to undertake any work that might be required at your new home prior to moving in. A simple solution to storing your furniture and belongings. A great rate, because moving house is expensive already! It can minimise the risk of the moving chain breaking. If you choose to put your belongings into storage, an inventory of your goods will be put together before they leave the house and a copy of it will be provided to you. When your items reach our warehouse, they will be placed into a dedicated room and the door will be secured and marked with tamper proof tags. Storing your goods in rooms means that larger items and soft furnishings can be kept on their feet, not stored on their side in order to fit onto a crate. Arrow Removals will only use plastic wardrobe boxes which are rigid, secure and ideal for hanging garments. To enquire about our packing services, please feel free to get in touch with us.